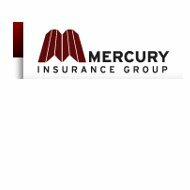 American Mercury Insurance is one of several subsidiaries that make up California-based Mercury General Corporation. Mercury General was formed in 1962 to provide car insurance in the state of California. Since its founding, the company has expanded to 12 other states including Arizona, Michigan, New York, and Texas, among others. American Mercury Insurance is based in Oklahoma and services the drivers of that state. Use our free search tool to find the best online health insurance rates – just enter your zip code now! The company does not offer any health insurance products whatsoever. Keep that in mind as you read the remainder of this review. If you need health insurance in one of the 13 states covered by Mercury General, you need to investigate other options. Both Mercury General and its subsidiaries are proud to work with a network of local, independent agents to sell and service policies. They have agents scattered all across the 13 states they cover and provide an agent locator tool on their website. By entering your zip code into this locator tool, you’ll be presented with the local agents in your region complete with names, telephone numbers, addresses, and even direct contact links. Depending on which agent you choose you will also be presented with a map and directions. Using independent agents allows Mercury General the ability to compare its policies against competitors for the benefit of the customer. Doing business this way helps insurance companies remained more competitive with each other while at the same time servicing customers through local relationships. Independent agents are more effective in establishing personal relationships because they live and work in the same areas as their customers. Some insurance companies provide an online cool tool while others do not. American Mercury is one that does. It’s a fairly comprehensive quote tool in that it asks you for all the information upfront without having to go through multiple layers. Information can be filled in a matter of minutes as long as you have it handy, and the tool returns a quote very quickly. Of course, remember that quote is just an estimate. Information will need to be verified by an underwriting agent. If you prefer to get quotes from a live representative, you have to options. First, you can use the agent locator tool to find an agent in your area, and then contact that office. An independent agent will be more than happy to give you a quote not only from American Mercury, but also any other companies he represents. Your second option is to contact American Mercury directly using the information provided above. American Mercury provides a 24-hour claims hotline, which can be accessed by calling a toll-free number they list on their website and your policy documents. The company encourages customers to contact them as soon as possible after an incident in order to get the claims process started. As with other insurance companies, you are encouraged not to attempt to deal with the insurance companies of anyone else involved. Simply provide the information requested by American Mercury and allow them to deal with other insurance companies. We were unable to uncover any customer reviews for this company while writing this article. However, we did locate a Better Business Bureau listing for Mercury General in California. Although the BBB gives the company an “A” rating, they have received 18 complaints regarding Mercury General’s products and services over the last 12 months. The majority of the complaints have been settled favorably but there still are a number of outstanding. It should be noted that complaints left unresolved to date are not necessarily a reflection of Mercury General’s business practices. The BBB still considers the company to be one of good quality, demonstrating so by the rating that they’ve given. If you have any questions about the BBB rating, they provide contact information on their website. Feel free to call them or send an e-mail with specific questions about Mercury General. Finding the right health insurance coverage is simply a matter of entering your zip code into our search tool below.